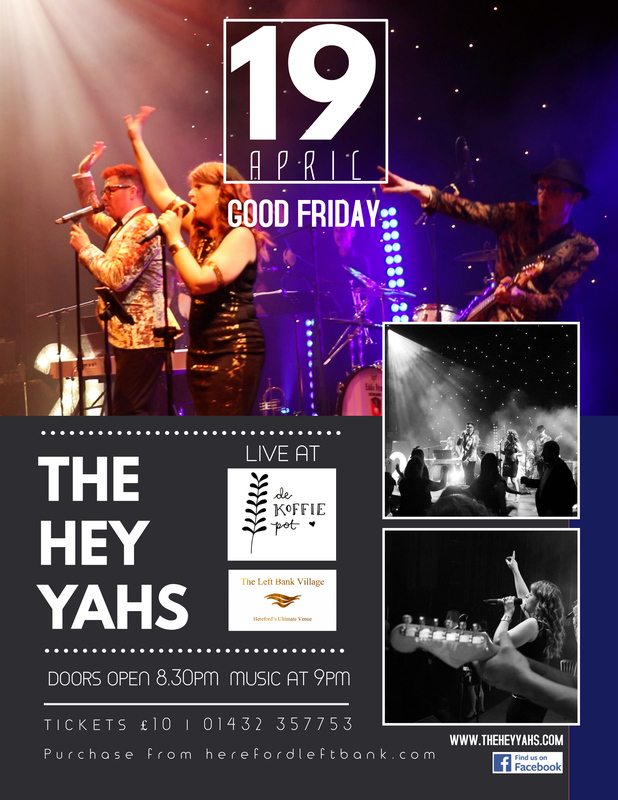 Join in the Good Friday agreement with The Hey Yahs at De Koffie Pot for a great night of live entertainment with this Hereford based band. 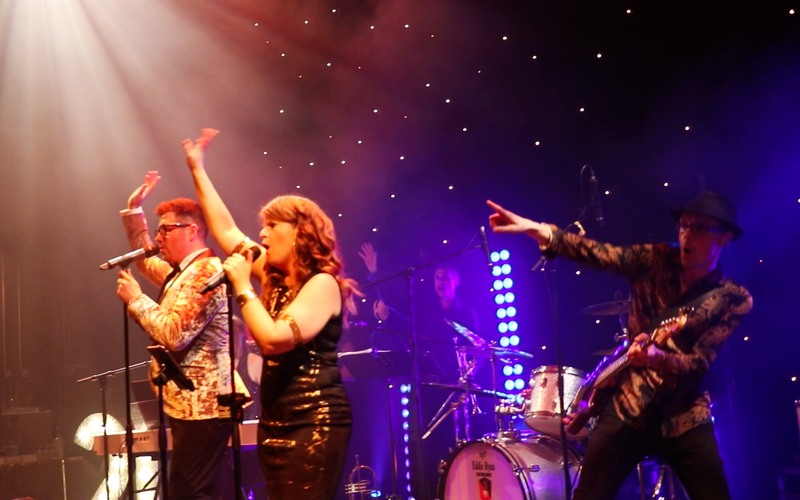 The Hey Yahs are a fun and lively party band showcasing a great mix of dazzling vocals, uplifting brass, funky grooves and an irresistibly fun filled performance guaranteed to have you dancing the night away. With a mix of tracks old and new from the likes of Bruno Mars, Queen, Katy Perry, George Ezra and more, as well as all-time favourite Soul and Motown hits, we’ve got a feeling, tonight’s gonna be a good, good night! If you saw them at the packed out Courtyard Theatre earlier this year, you know you’ll be in for a treat of a night as they launch into covers, medleys and mash-ups of your favourite tunes Hey Yahs style. Get ready to start your Easter weekend here.